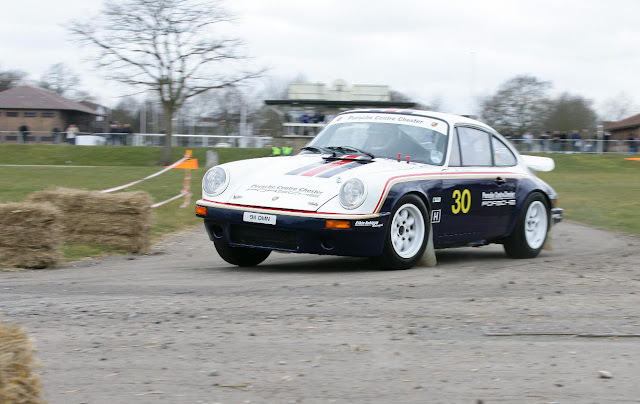 Overdrive: Race Retro set to be historically good fun! This year’s Race Retro is revving up to be the best ever as it brings together rare and stunning historic motorsport marques on two and four wheels when it returns to Stoneleigh Park, Warwickshire, from Friday 24th to Sunday 26th February. 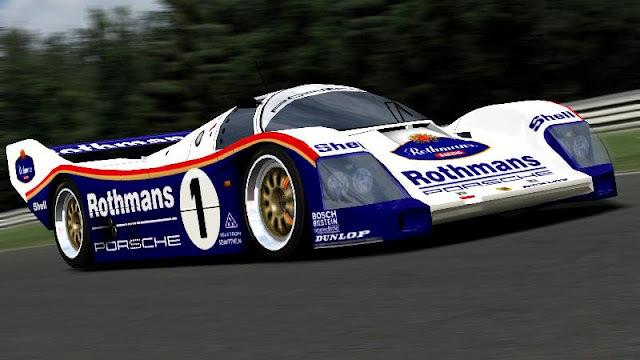 See rare and legendary racing cars such as the Group C Porsche 956, the 001 first prototype chassis that was raced in Rothmans livery by Jackie Ickx and Derek Bell and will be on static display. Or from rallying, the Group B Porsche 911 SCRS 1984 280bhp three litre flat six rally car that will be in action on Saturday and Sunday on the Live Rally Stage as part of the 30th anniversary celebrations. There is a tribute to 50 years of the MGB with a foyer display of two early ex works racecars. The hardtop roadster was driven in 1963 Sebring 12-hour endurance race by Christabel Carlisle, now Lady Watson, former Mini racer and the darling of British race fans in the early sixties, and Denise McCluggage, an American motoring journalist and lady racing driver. The roadster will be joined by the works MGB GT racer that was also driven at Sebring by Paddy Hopkirk and Andrew Hedges. A stunning 30 years of Rallying will be marked with a static display as well as an unbelievable line up on the Live Rally Stage. Rallying with Group B will be out in force on Saturday and Sunday, putting on an amazing showcase for visitors on the purpose built course that features challenging twists and turns. Hall & Hall will be celebrating the 50th anniversary of Graham Hill winning the team’s first Formula 1 GP world Championship in 1962 by displaying the championship winning BRM P57 1.5 litre V8 GP car. For those preferring two-wheeled motorsport, the tribute to 30 years of the Honda Racing Corporation will be led with the only known remaining example of the Mike Hailwood RC 173 500/4 cylinder motorbike on which he won every GP he rode it in during the 65/66 seasons. There will be up to ten more Honda RC 163 250/4 cylinder replica GP bikes for static display and in the popular Fire-Up Paddock. Hosted by Road Racing Legends, a charity supporting former TT riders and their families, the Fire Up Paddock is where legendary motorcycles are brought back to life as they get started up so the crowds can hear the roar of the engines. Visitors can not only see all the action but can also become part of it with the chance to drive a rally car, thanks to Hero, the Historic Endurance Rallying organisation. For just £20, visitors can ‘arrive and drive’ in one of Hero’s rally prepared classic cars, put it through its paces and get a feel for rally driving on a purpose built course adjacent to the Live Rally Stage. For those looking to invest in a piece of motorsport history, visit the Silverstone Auction which specialises in the sale of the finest classic cars, modern supercars, all types of competition cars, modern and historic motorcycles and automobilia. The auction will be open for viewing all day on Friday and Saturday morning. The sale will then start on Saturday lunchtime with the automobilia before moving on to classic and historic motor racing and competition cars and motorcycles. Silverstone Auctions is happy to accept entries into the auction and those interested should contact the team by telephoning 01926 691 141 or emailing enquiries@silverstoneauctions.com. Auction catalogues will be available online at www.silverstoneauctions.com. Enjoy the interview stage, hosted by Moto GP presenter Steve Parrish, which will feature special guests and motorsport quizzes or visit the hundreds of traders selling everything needed for the coming motorsport season. For those who like to get grease under their fingernails, explore the autojumble for that elusive part or spare. Adult tickets for Race Retro, sponsored by Peter James Insurance, start at £20 in advance with children’s tickets at £5 for Friday and Saturday and free on Sunday. Car parking is free and has been moved to a hard surface area nearer to the halls. The show is open from 9.30am each day and closes at 5.30pm on Friday and Saturday and 4.30pm on Sunday. To book tickets and for the latest updates, visit www.raceretro.com.